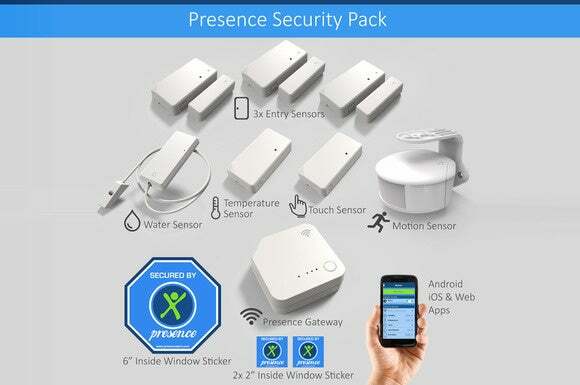 Each of these packages revolves around the Presence app and the Presence Gateway. The gateway is a ZigBee-to-Wi-Fi bridge that acts as the go-between between the various sensors and your home wireless network, thereby allowing you to control the whole system via the app. It is also central to the company’s home-automation ambitions; however, the GE Link smart LED bulb is currently the only device in this category that it supports. Why this matters: It doesn’t get any more DIY than a system that allows you to convert your existing smartphone or tablet into a home-surveillance camera. And the best part is it’s relatively inexpensive, even if you include the optional cloud subscription, which gives you 5GB of online storage and a host of other features not found in the free version for just $5 per month.